Laki Laki produces and sells yoghurt drinks for tourists in Kenya. Geoffman Enterprises promotes the cultivation of Ugandan red bird eye chili for the economic sustainability of the West Nile region of northern Uganda. Jilpa Secretarial Services, founded in 2012, is a new workshop servicing the Gulu District in North Uganda, offering local businesses the opportunity to outsource their secretarial needs. A commercial cassava farming business in Nigeria requires crop financing as well as a five-year loan to purchase additional equipment and to upgrade infrastructure. KERNATT is a rural enterprise that strives to meet high quality expectations and keep in touch with shifting consumer demands in the vegetable crops industry. Film making in Africa gives the continent an opportunity to express itself, and to tell its story in its own voice. It is within this vein that the Jamhuri Film and Television Academy has been established. Providing Liquefied Petroleum Gas (LPG) design, installation, maintenance and distribution services across Uganda and other parts of East Africa, Wana Solutions (WS) is able to satisfy the bulk and cylinder requirements of its customers. ‘Tekutangije’ literally means ‘cooking without waste’ in Rwanda’s native language, Kinyarwanda. No waste is the purpose of TEKUTANGIJE’s cooking stoves, thus reducing carbon emissions and deforestation in developing countries. Waste Masters Limited currently operates in three districts in Uganda, and is the only fully registered refuse collector in two of them, but wants to expand this number. MTI Technologies specialise in IT support, maintenance, supply and installation and the company is accredited with Microsoft, Dell, Cisco, Linux, and IBM among others. Nuba Foods’s core business is to source and supply agricultural commodities from Ghana, ranging from maize and salt to various vegetable oils, for industries in West Africa. 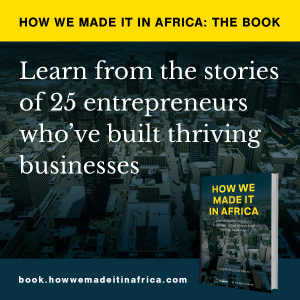 SasaAfrica, a women-owned and run social enterprise, offers tools for the millions of female artisans in Africa to independently create sustainable micro-enterprises using mobile phones, mobile money transfers, and innovative delivery services. Founded by a former investment banker, turned into a social entrepreneur, Renewable Energy Ventures provides renewable alternatives to kerosene forms of lighting. Solafrique produces solar generators as a substitute for diesel generators and offers an affordable renewable energy alternative. Their generators are stand-alone products with advanced energy storage systems that enable them to be used as a temporary or permanent energy source regardless of the weather, time, or location.